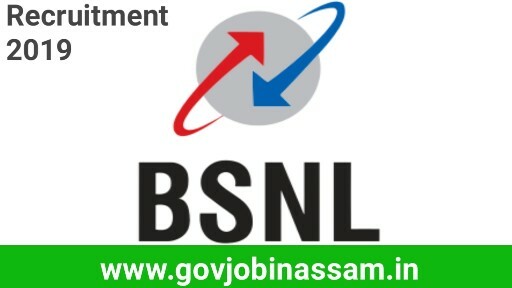 Invited application from Bharat Sanchar Nigam Ltd in short BSNL Recruitment for the JTO (Electrical) / JTO (Civil) for SC, ST & OBC Candidates in total 198 position GATE SCORE 2019. The Candidates having qualification BE/BTech or equivalent in Electrical/Civil Engineering are required to appear in GATE exam 2019, opting one paper from selected two disciplines of GATE paper codes i.e. EE & CE. Details are available at www.gate.iitm.ac.in. Education Qualification: BE/BTech or equivalent in Electrical/Civil Engineering. Selection Process: Valid GATE SCORE in 2019. GATE 2019: Candidates have to register themselves and appear for the corresponding paper of GATE 2019. For details on GATE 2019, please visit http://www.gate.iitm.ac.in/.